How can you make a big impact from the smallest room in the house? Find out by taking a short quiz and earn 25 Recyclebank Points! Moore's Law says that technological progress doubles every two years. This is good news for society, but it can be harmful to the environment. So what should you do with your e-waste? Learn what you can do and earn 25 points at Recyclebank.com. What happens when non-recyclables end up in the bin? Find out with A Smarter Way to Sort. 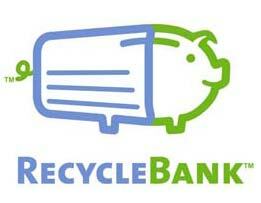 Visit Recyclebank to learn more and earn up to 150 points.